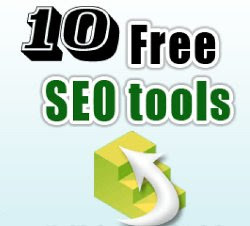 This article is based on ebooks “10 Free SEO Tools”. We know that Search Engine Optimization (SEO) is the process to optimize website with the goal of increasing search engine ranking, ultimate goal for your business is traffic and sales. SEO is very important for your site and traffic because in can boost your visitor and may lead sales with specific keyword. SEO involves researching your keywords to find good phrases for your website, placing these keyword phrases strategically on your website and then improving your ranking by increasing the number of back links to your website. This tools allow you to research keyword and tell you approximately average number of searches per month and suggests similar alternative keyword phrases. This is another keyword research tool that can enter some keywords and you will receive a list of up to 100 related keywords and an estimate of the number of daily searches for each keyword phrase. This tool will generate a site map for you in either XML or HTML format. A site map contains links to all the pages on your website. This tool allows you to check how many backlinks your website has. It will show you how many backlinks your site has in the Google and Yahoo search engines. This tool allows you to find the top Google search queries for your website, see errors found by Google bot, find issues with your website content (e.g. missing tags), submit a site map, find out how many backlinks you have, remove content from the Google index and generate a robots.txt file. Stat counter allows you to see how many visitors and hits you have received to your website, the keywords that your visitors searched on, the pages that they visited, the browsers they use, the countries and towns they live in, the pages that they entered and exited your site on and how long they stayed on your site. This is an alternative to Stat Counter, as it provides similar information about your website visitors. However, it presents the information in a different way, so you may find it useful to use both Stat Counter and Google Analytics.